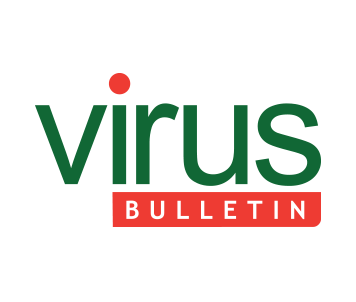 Virus Bulletin is a free on-line security information portal, testing and certification body with a formidable reputation for providing users with independent intelligence about the latest developments in the global threat landscape. See www.virusbulletin.com for detailed analyses of the latest malware threats, easy-to-read comparative product reviews and archived materials dating back to 1989. Subscribe to our monthly e-news by emailing subscribe@virusbtn.com with the title ‘E-news subscribe. The annual international Virus Bulletin conference is cited by many as the IT security event of the year www.virusbulletin.com/conference The brains of IT security from around the world gather to learn, debate, pass on their knowledge and move the industry forward.